Will This Plane Let China Control the South China Sea? A new aircraft would be capable of quickly shuttling Chinese cargo and personnel to the contested Spratly Islands. 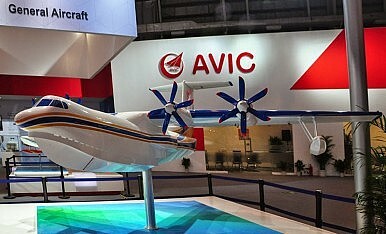 China is building the world’s largest seaplane, the Jiaolong (Water Dragon) AG600. Capable of landing and taking off on water (and land), the Chinese-built aircraft could make it easier for Beijing to press its claims in the South China Sea, according to experts quoted in a Defense News article. “Amphibious planes like the AG600 would be perfect for resupplying the new artificial islands that the Chinese are building in the SCS [South China Sea]. At the same time, these islands would be excellent bases of operations for the AG600 to engage in maritime patrols of claimed territories,” notes Richard Bitzinger, coordinator of the Military Transformations Program at Singapore’s S. Rajaratnam School of International Studies. With a maximum take-off weight of 60 tons, the Jiaolong AG600 will become China’s largest amphibious airplane when it enters Chinese services in either 2016 or 2017. According to information obtained by Defense News, the aircraft is powered by four turboprop WJ-6 engines and has a range of 5,500 kilometers. The alleged top speed of the aircraft is 348 mph (555 km/h). The AG600 is currently being built by China Aviation Industry General Aircraft Co. (CAIGA), which is also developing two other seaplanes. Defense News reports that on March 17, the company announced that it had completed the front fuselage assembly for the prototype. The civilian version of the plane can be used for a wide range of tasks including emergency rescue operations, forest firefighting, transport missions, and maritime surveillance. Yet the aircraft will also be able to execute a host of military assignments, including long-range patrols, anti-submarine warfare tasks, and mine-laying missions. Additionally, the AG600 would be capable of quickly shuttling cargo and personnel to the contested Spratly Islands, where China is currently constructing artificial outposts on Hughes Reef, Johnson South Reef and Gaven Reef, all of which are surrounded by shallow waters (see: “China Slams US as ‘Kibitzer on South China Sea'”). This active governance would substantially help China claim that the islands are inhabitable under UNCLOS, which in turn would bolster any Chinese claims to an Exclusive Economic Zone (EEZ) in the South China Sea, Chang states. China began developing the AG600 in 2009. Some report note that around 60 planes will be build in the years ahead.”Since the program can hardly be justified by the civilian demand, the likely explanation is that the program has a significant military importance,” argues Sam Bateman, an adviser with the Maritime Security Program at the S. Rajaratnam School of International Studies in Singapore. China’s enormous amphibious aircraft completed crucial ground tests over the weekend.